Developed to enable effective handling in wet and dry conditions, the Portwest Black Latex Grip Gloves A100K8 feature a crinkle finish latex palm that supplies superb grip as well as excellent resistance to abrasion and tearing. Featuring a ventilated, ergonomic design, these gloves remain comfortable to use in a variety of conditions and environments. 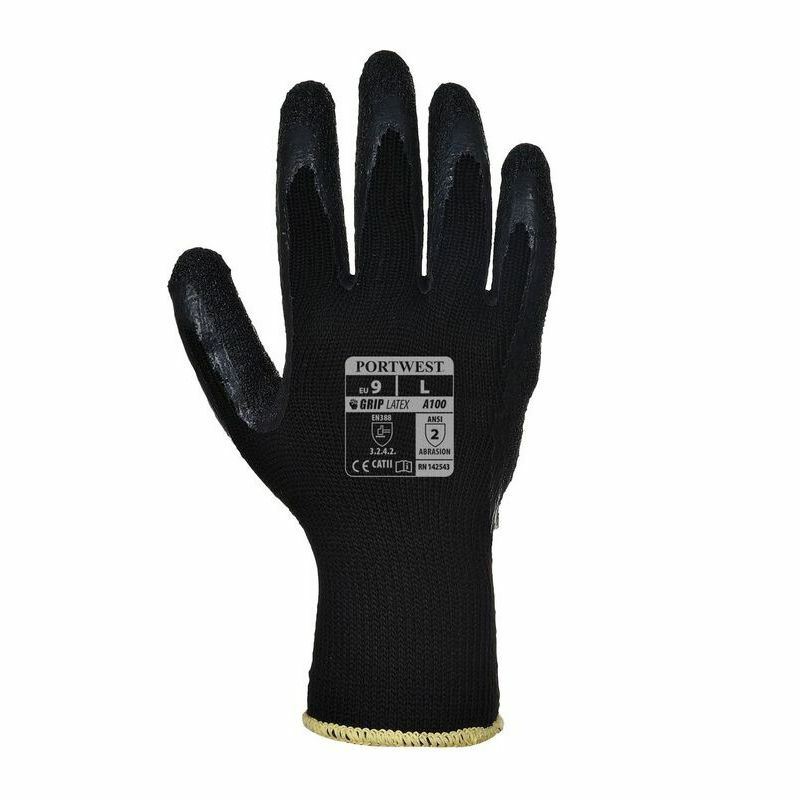 The Portwest A100K8 are designated Category II gloves, meaning they are suitable for medium duty applications and intermediate levels of risk. The Portwest A100K8 Gloves are available in a number of sizes. Please measure the circumference of your hand around the knuckles (excluding the thumb) with your hand open and your fingers together, and the length of your hand from the tip of your middle finger to your wrist.